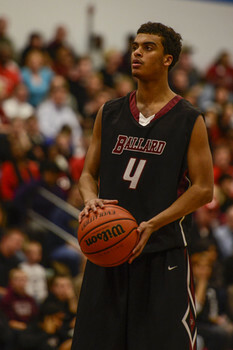 Click here to watch Ballard vs Arsenal Tech. The Marshall County Hoop Fest begins today at Marshall County High School in Benton, KY. Louisville signee Quentin Snider and the Ballard Bruins will face Kentucky signee Trey Lyles and Arsenal Tech (IN) at 1:00 p.m. ET. Ballard also plays tonight at 7:30 p.m. ET against Moss Point (MS). So if you are not going to the UofL men’s basketball game today, you can watch that on TV and have Quentin Snider pulled up on the computer at the same time.